I had very high expectations for Just for you vol. 2—b.c einstein’s release e=mc3 from last year was one of my favorite albums of 2016—and I have to say that this new release has exceeded my expectations. Sticking with downtempo, cloud rap–inspired trap beats, bc. einstein evolves his sound, sticking to classic, toned-down vocal loops, and some experimental samples—like the cell phone ring in “Cellular.” Just for you vol. 2 shines for me in its first half, as it maintains the slower, more ominous nature of e=mc3, while the second half plays around with lighter trap elements. This album is an interesting collection in that you could easily have someone rap over each track. They pack so much character on their own that I feel like vocals would take away from the production. 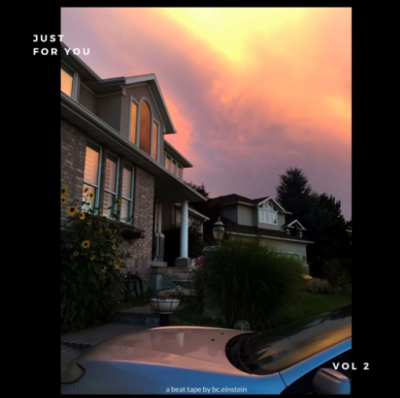 JFY vol.2 kicks off with “spray yo’ team,” a song that creeps in with a deep demonic laugh you’ve head in any cartoon from the ’50s and ’60s, followed by an eerie synth loop and a trap-heavy 808.